WASHINGTON (AFNS) — Air Force officials unveiled the Department of Defense’s first non-tactical vehicle fleet composed entirely of plug-in electric vehicles, Nov. 14, at Los Angeles Air Force Base, California. The rollout of the 42-vehicle fleet marks a milestone in the DOD’s demonstration of emerging technology and the vehicles will serve as a resource to the electrical grid when they’re not being driven. WASHINGTON – The U.S. Environmental Protection Agency (EPA) today announced a settlement with three companies affiliated with Shell Oil Company to resolve Clean Air Act violations, including selling gasoline and diesel fuel that did not conform to federal standards. These violations resulted in excess emissions of harmful air pollutants from motor vehicles, which pose public health threats and environmental impacts. The companies will pay a $900,000 penalty to resolve these violations. In 2010, heavy-duty trucks and buses accounted for 23% of all transportation-related greenhouse gases, even though they comprise less than 5% of all vehicles. In response to this, the Obama administration, in August of 2011, issued a directive, setting a new fuel efficiency targets for heavy duty trucks, starting in 2014 and extending through 2018. With 2014 being the first year the new standards are in place, the results have been no less than remarkable. Since trucks are primarily used for commercial purposes, businesses are very interested in high efficiency since that contributes directly to their bottom line. WASHINGTON – The U.S. Environmental Protection Agency (EPA) and the Department of Energy (DOE) today released the 2015 Fuel Economy Guide, providing consumers with a valuable resource to help them choose the most fuel-efficient and low greenhouse gas emitting vehicles that meet their needs. 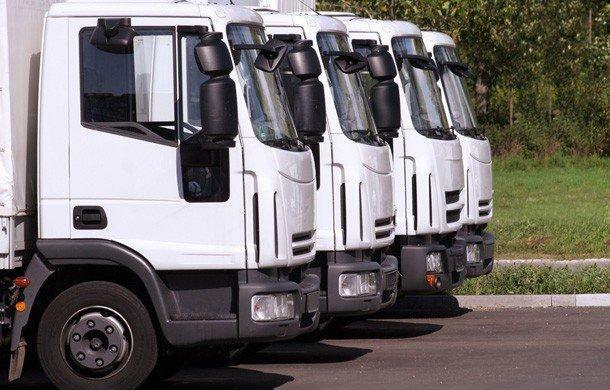 Telematics has revolutionized the management of fleet vehicles, reducing wear and tear and the amount of time it takes to roll up to a customer’s door. A glance at UPS shows how they do it better than anyone, and how you can streamline the operation of your own company vehicles. If you want to understand the importance of telematics tracking software, consider that it helped UPS–the world’s largest private shipper and one of the largest fleet operators, with more than 100,000 vehicles logging 3 billion miles per year–cut its preventative maintenance schedule in half over the last five years. That’s right: UPS went from 240,000 preventative maintenance inspections per year to 120,000. What’s especially impressive is that the company did this while increasing the reliability of its vehicles. WASHINGTON – New vehicles achieved an all-time-high fuel economy in 2013, the Environmental Protection Agency announced today. Model year 2013 vehicles achieved an average of 24.1 miles per gallon (mpg) ‑– a 0.5 mpg increase over the previous year and an increase of nearly 5 mpg since 2004. Fuel economy has now increased in eight of the last nine years. The average carbon dioxide emissions are also at a record low of 369 grams per mile in model year 2013. Are you driving the right car for an oil crisis? With further escalation in hostilities in Iraq as the militant group, the Islamic State of Iraq and Syria (ISIS) tries to lock down more oil and gas assets, it is hard not to worry that an oil crisis might be looming. Saudi Arabia has fortified its northern border with Iraq with more military hardware and troops while Iraqi oil industry sources report that Iranian forces were simultaneously moving into areas surrounding the Southern Iraqi oilfields, raising the stakes in a possible escalation in recent border skirmishes. At the same time, Moscow is doubling down in its support for rebel fighters in the Ukraine, intensifying its conflict with the West and increasingly the likelihood that energy trade with Russia will get disrupted. So far, the looming global instability has not ratcheted up US gasoline prices which are generally hovering around $3.50 a gallon. But it might be a good time for American consumers to think about how well they would be positioned in an oil crisis. The Institute of Transportation Studies at the University of California, Davis (ITS-Davis) can help you figure out the answer to that question with a new web-based tool, EV Explorer, that allows consumers to compare simultaneously up to four different vehicles on an energy cost basis. WASHINGTON – The U.S. Environmental Protection Agency (EPA) today announced that Ford Motor Company (Ford) is revising the fuel economy (mpg) estimates for six vehicle models to correct errors found in an internal Ford audit. Ford is required to correct fuel economy labels on affected vehicles within 15 days. EPA oversaw Ford’s re-testing program and conducted independent tests to confirm the corrected results as soon as it was notified by Ford of the potential errors. Ford has agreed to implement enhanced validation tests for future vehicles under EPA oversight. Cars currently in dealer lots will be re-labeled with new window stickers reflecting the corrected mileage estimates. Ford will re-label four versions of the Ford Fiesta, the Hybrid and Energi versions of the Ford Fusion, the C-Max Hybrid and Energi, and the Lincoln MKZ Hybrid. Most labels will change between 1-5 miles per gallon (mpg). The largest change is for the Lincoln MKZ hybrid whose combined city and highway fuel economy value has been reduced by 7 mpg. EPA and DOE have updated their joint fuel economy site, www.fueleconomy.gov, to reflect the corrected numbers. General Motors’ fleet of fuel cell vehicles has passed 3 million miles of hydrogen-powered, real-world driving, avoiding 157,894 gallons of gasoline consumption, GM estimates. Some individual vehicles have accumulated more than 120,000 miles. The fleet of Chevrolet Equinox Fuel Cell vehicles is part of GM’s 119-vehicle Project Driveway program, which launched in 2007.